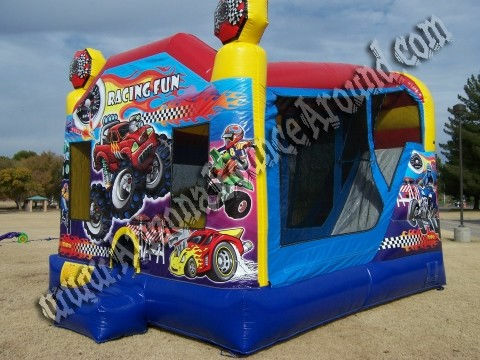 This inflatable features race cars, ATV's and monster trucks all over the front, perfect for kids birthday parties or racing events. 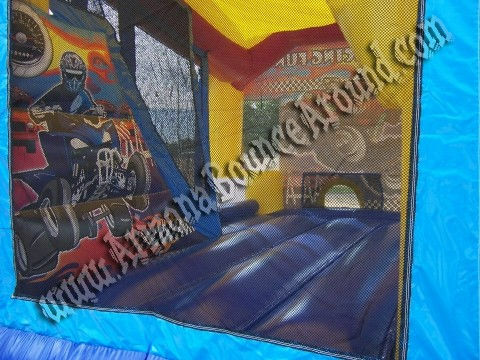 The 4 & 1 Racing Fun Bouncer is for all the thrill seekers out there that love to go fast. 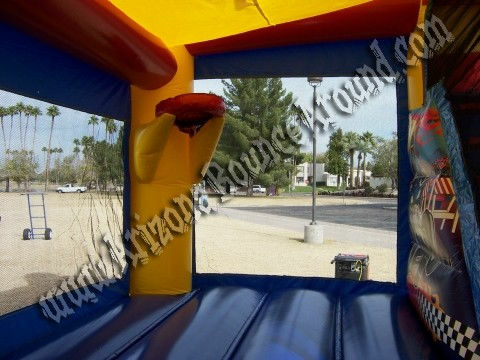 Featuring different off road vehicles this bouncer is for the ultimate good time. Atvs, dirt bikes and monster trucks are printed all over. 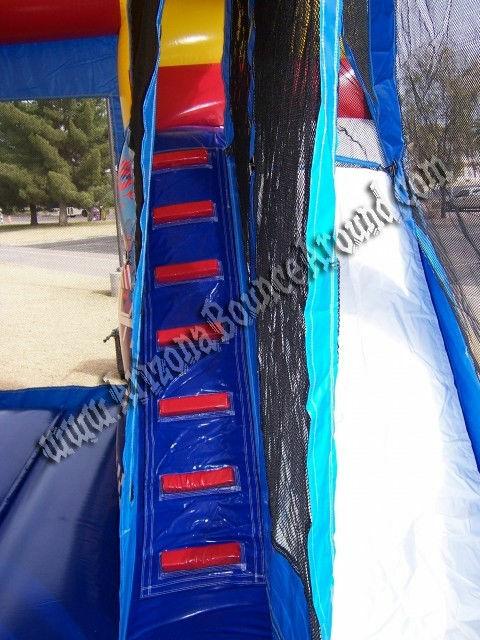 You get more than just a bouncer with this rental including a basketball hoop, climb and a 14' slide!